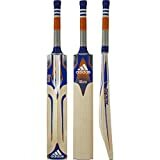 A cricket bat is a vital piece of equipment for cricket batsmen. Thus, it is important for cricketers to invest in a good, high-quality bat. The ability to hit pitches is further improved when a batsman buys the right kind of bat for his batting style. These days, there are many cricket bats being sold, with different features and prices. If you are having a hard time choosing one, you might have missed some important factors that you should focus on when buying a bat. Reviews are helpful in a sense that they provide lots of information about the product. Here is our review of GN’s Oblivion E41 Star Select Junior Bat. When it comes to choosing a cricket bat, you should first determine what kind of batter you are. Several models of cricket bats are designed for specific batting styles to better complement the techniques used by the batsman. You can ask your coach about this, especially if you are a beginner or a junior-level batsman who has yet to hone his craft in terms of play. As soon as you have determined your batting style, the next thing for you to do is to select the appropriate size and weight of the bat. The size and the weight will be based on your build, height and the manner in which you play the game. This differs from one player to another but for entry-level players or junior batters, a lightweight bat is most recommended. 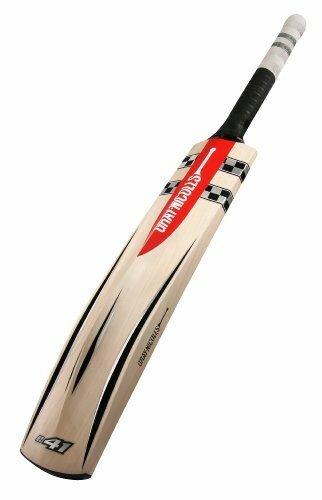 For example, the GN Oblivion E41 5 Star Select is a bat that is designed for junior play to further suit the skill level of the group. As your level of play progresses and improves, you can then move on to heavier bats. 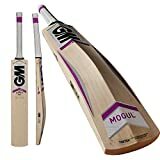 Another important factor to keep in mind is the material and grade which the bat is made with; the price of the bat is affected by the kind of material. The more affordable bats are usually made with low-grade English willow and will better suit beginners to practice on. However, if you are willing to invest more and spend an ample amount of time mastering the game, you can opt for G2 English willow models, like this one from GN. The Oblivion E41 is crafted with G2 willow so it has a decent quality that can withstand the tension and pressure of hard impacts with the ball. English willow is the preferred material for cricket bats due to its durability. It is meant to be used together with top-notch cricket leather balls minus the wax. If you are a batsman who calculates and drives the balls instead of going after hard, big impacts, then the Oblivion E41 is for you. The model is also pre-prepared so you can do the rest of the knocking in the bat in only a few hours. Knocking the bat in is a long process and it involves lots of time for preparation before you can use it in a game. Hence a pre-prepared bat like the Oblivion E41 comes in handy. If you want your bat to last longer, knocking in the bat is an important step; it is highly recommended by experts, and that way, the bat will last and provide you with steady, positive results. Might not be suitable for senior or advanced players. 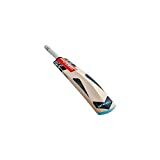 The GN Oblivion E41 5 Star Select Junior Bat is a model that will perfectly suit the abilities of beginners and junior-level batsmen. If you want to improve your game, you can depend on this Grade 2 English willow cricket bat.